Sheriff Brian Burnett reports a 29 year old back country skier was rescued Sunday afternoon after being swept off her skis during a snow slide in the area above of Colchuck Lake. Shanna Hovertsen of Seattle was skiing with friends at around 1:15pm when a small avalanche caused her to tumble down the slope twisting both of her knees. She was assisted by the other three subjects in the group and escorted to a campsite near Colchuck Lake. Hovertsen could not hike out under her own power. One of the subjects used an inReach satellite communication device to text a request for assistance to the International Emergency Rescue Communication Center in Texas. The message was relayed to the Washington State Emergency Management communication center at Camp Murray, and then to RIVERCOM dispatch. A Chelan County Sheriff’s Office helicopter crew was launched from Wenatchee. The helicopter was able to land near the patient. Hovertsen was flown to the National Fish Hatchery landing pad near Leavenworth by 4:40pm where an ambulance was waiting to transport her to Cascade Medical Center in Leavenworth. Hovertsen is in stable condition. Sheriff Brian Burnett reports a 36 year old male drowned in Lake Chelan on Saturday afternoon (04/13/2019) when an inflatable kayak he and another subject were in flipped over. Both subjects were ejected into the cold water. 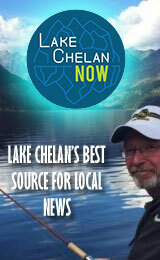 The incident occurred north of the dock area at Lake Chelan State Park. At 2:49pm, RIVERCOM 911 dispatch began receiving calls reference the two subjects in the water. One of the males had not surfaced. Several boaters who were participating in a fishing derby in the area began actively looking for the missing subject. State Park Rangers, Sheriff’s Deputies (with a marine vessel), Chelan County Fire District #7 (with rescue swimmers) and Lake Chelan EMS responded to assist in the search. It was determined that Bonventure Gitau 36 years of age of Tacoma, WA had not been wearing a personal floatation device when the two-person inflatable kayak he was in with his friend capsized. Gitau was seen momentarily in the water by witnesses but then disappeared under the surface. His friend, Jackson Njaru 31years if age of Puyallup, WA, made it to a nearby boat and was pulled from the water in fair condition. Just prior to 4:00pm, Gitau’s body was spotted on the bottom of the lake at a depth of about 30 feet. A diver from Fire District #7 made the recovery. The body was released to the Chelan County Coroner’s Office. The Sheriff’s Office would like to remind everyone planning to recreate in lakes and rivers this season, to please utilize personal floatation devices when in any type of vessel. The Columbia River Drug Task Force reports on April 3rd, 2019 related search warrants were served in the 800 block of Malaga Alcoa Highway and the 1500 block of Cashmere Street in Wenatchee. These search warrants were the result of investigations and controlled drug buys conducted by CRDTF detectives. The Malaga Alcoa Highway location is approximately nine acres and had several structures on it believed to be occupied which made it a complex area to safely clear and search. It was determined the location would be cleared by SWAT prior to a search conducted by detectives. The Chelan County Regional SWAT team as well as Douglas County SRT were utilized for this beginning at approximately 6:30 am. The teams were also assisted by Chelan County Sheriff’s Office, Wenatchee Police Department, East Wenatchee Police Department, Douglas County Sheriff’s Office, Washington State Patrol, Washington State Department of Fish and Wildlife, Department of Homeland Security, INET Drug Task Force from the Grant County area, and Chelan County Public Works. While searching the property, Detectives located and seized approximately two pounds of cocaine, two firearms, packaging material for the distribution of cocaine, and over $80,000 in cash as suspected proceeds from the sale of illegal drugs. The property owner, 52 year old Cesar Mora Sr. of Wenatchee was arrested and booked into CCRJ for Unlawful Possession of a Controlled Substance – Cocaine with Intent to Deliver and Alien in Possession of a Firearm. Also arrested for Alien in Possession of a Firearm was 54 year old Rene Rodriguez-Rodriguez. Upon completion of the search warrant service on Malaga Alcoa Highway an element of the Chelan County Regional SWAT team was relocated to the 1500 block of Cashmere Street to assist Wenatchee Police Department with the service of the related Search Warrant. Fifty-five year old Jose Valadez of Wenatchee was arrested on existing probable cause for four counts of Delivery of a Controlled Substance. The Columbia River Drug Task Force works diligently to protect our community from illegal narcotics. We believe cases like this do make a significant impact on our community by removing a large amount of illegal drugs which would have been distributed throughout the community. The Columbia River Drug Task Force is comprised of Detectives from Chelan County Sheriff’s Office, Wenatchee Police Department, East Wenatchee Police Department, and Washington State Patrol. The Chelan County Sheriff’s Office is the lead agency also supplying a Sergeant and an Analyst. Sheriff Brian Burnett reports on February 22nd, 2019 the Chelan County Sheriff’s Office School Resource Officer for the Cashmere School District, Deputy Mutch was advised by school staff of an online post threatening the safety of Cashmere High School. The post was made as a comment on someone else’s YouTube channel. It is believed person who posted the comment was 18 year old Gerardo Tovar-Medina of Wenatchee. The comment said “I was planning on shooting up the school”. Mr. Tovar has not attended Cashmere Schools for several years and never attended Cashmere High School. The online comments alarmed several students and staff. All schools in the Cashmere School District were placed on a “lockout”. After hearing the incident was reported to law enforcement, Mr. Tovar called the school. He was transferred to Deputy Mutch who kept him on the phone while directing Deputies to his residence in Wenatchee. Mr. Tovar was detained and interviewed. He admitted to posting the comment on YouTube but said his intent was only to scare them. Chelan County Sheriff’s Office Detectives served a search warrant on Mr. Tovar’s residence. Several drawings and notes were located indicating Mr. Tovar had done research on past mass shootings. There was also indications Mr. Tovar was planning or had a desire to commit a mass shooting at Cashmere High School. Mr. Tovar was booked into CCRJC for Threats to Bomb or Injure Property. The Chelan County Sheriff’s Office takes threats to the safety seriously. The School Resource Officers throughout the county provide a necessary link to the Sheriff’s Office and provide a quick and reliable contact to address threats rapidly as was done in this incident. Sheriff Brian Burnett reports on February 20th 2019 at approximately 6:55 pm Deputies were dispatched to a disturbance in the 3600 block of Selfs Motel Road in Cashmere. The caller reported hearing several gunshots, then someone yelling for help. Deputies arrived soon after and were contacted by the original caller. While making this contact the suspected shooter, a 37 year old male who lived in the complex exited his residence. Deputies detained him without incident. After interviewing witnesses , it was determined the suspect fired several shots into the air from a revolver near the front porch of his residence. A few minutes after the shots were fired, a 25 year old neighbor confronted the suspect. This quickly turned into a physical fight where the 25 year old struck the suspect with a stone bowl injuring him. During the fight, another neighbor tried to break it up and was pushed into a window causing it to break. The 25 year old male was later booked into CCRJC for Assault second degree. Deputies with the assistance of a Detective served a search warrant on the suspect’s residence and recovered a stolen firearm. The 37 year old male was booked into CCRJC for Possessing a Stolen Firearm, Aiming or Discharging a Firearm, and assault 4th degree. Sheriff Brian Burnett reports that 39-year-old Benjamin Hayden of Woodland, WA was injured this afternoon while snowmobiling near Sugarloaf Lookout approximately 12 miles northeast of Leavenworth. At approximately 12:45pm Deputy Mike McLeod and USFS Law Enforcement Officer Mike Kujala were on routine snowmobile patrol near Sugarloaf Lookout when they observed a snowmobiler who appeared stuck at the bottom of a steep slope on the east side of the lookout. After making their way down the slope, they contacted Hayden who had suffered a fractured lower leg while attempting to free his snowmobile after it became stuck in the deep snow. Hayden who was by himself had been attempting to free his snowmobile for approximately 2 hours before the officers arrived. While the officers were stabilizing Hayden’s leg, he went unconscious and became un-responsive. Due to the remote location, a Life Flight Helicopter was requested for Hayden. At approximately 2:30pm, Hayden was transported from the scene by Life Flight to Central Washington Hospital in Wenatchee. The Chelan County Sheriff’s Office would like to remind snowmobilers that they should never ride alone. In this case if the officers would not have been in the area, Hayden may not have been discovered until he was reported overdue. Sheriff Brian Burnett reports on January 14th, 2019 Shawn Lewis, a 48 year old Entiat man was located deceased north of Entiat. He was found by a friend at the base of a ledge near milepost 221 on highway 97A. Mr. Lewis had not been seen by family or friends since Friday, January 11th. His vehicle was located in a gravel area on the side of highway 97A during the evening of Sunday the 13th. Deputies responded to the area and did not locate Mr. Lewis. Family had already removed the vehicle and there was nothing to indicate he was still in the area. On Monday, Mr. Lewis’ friend went to the location and started hiking the hillside. He located Mr. Lewis at the bottom of a rock ledge several hundred yards from the roadway and reported it to the Sheriff’s Office. Deputies and detectives responded to the location and found Mr. Lewis deceased with injuries consistent with a fall. It is unknown how Mr. Lewis fell but the hillside had snow and ice on it. It appeared Mr. Lewis had been there since at least the previous day. Sheriff Brian Burnett reports on December 20th, 2018, at around 2:45 pm the loss prevention department at the Chelan Walmart called RiverCom to report a theft in progress. The suspects were seen carrying various items out a fire door exit where they had staged their vehicle for a quick getaway. Chelan County Deputies responded to the location but the suspects had left prior to Deputies arrival. The vehicle used in the theft was a newer white Chevrolet pickup truck with U Haul decals on the doors. The suspects had stolen over $2,000 worth of electronics. One of the suspects was identified from prior investigations as a 24 year old male from Arlington, WA. He had previously been trespassed from all Walmart properties following a 2018 arrest. An "Attempt to Locate Bolo" was sent out to all surrounding law enforcement agencies. Chelan Walmart staff notified the neighboring stores in Wenatchee and Omak to also be on the lookout for the suspects. At around 5:45pm Omak Police responded to a suspicious call at the Omak Walmart. The suspects along with their vehicle had been observed at this location. The suspects left the store when they saw law enforcement arrive on scene. The Omak Police and Okanogan County Sheriff's Office contacted the suspects a short time later in the suspect vehicle. The driver of the vehicle and was arrested for Burglary 2nd degree and Theft 2nd degree. The 2nd suspect was identified as a 27 year old male from Lake Stevens, WA. He was identified as the other suspect in the Chelan Walmart theft, and was placed under arrest for Theft in the 2nd degree. Both subjects were booked into the Chelan County Regional Jail. The loss prevention director for Wenatchee and Chelan Walmart's believe since November of 2018, the 24 year old suspect has stolen over $15,000 worth of merchandise. Numerous additional charges are pending from the Wenatchee Police Department as well as other theft investigations on the Westside of the State. Charges could be amended to Organized Retail Theft based on the method employed by the suspects and the total value of items stolen between the two stores in Chelan County. Organized Retail Theft is a Class B Felony. The Chelan County Sheriff's Office would like to recognize the Omak Police Department, the Okanogan County Sheriff's Office and the Walmart's Loss Prevention Department for their help and collaboration. It was a true team effort to capture these suspects. Funeral services to celebrate and honor the life of Sergeant Leandro Jasso will be held Sunday, December 9th at 11 a.m. at Cascade High School in Leavenworth. Motorist should expect delays as the funeral procession makes it way from East Wenatchee to Leavenworth Sunday morning. The procession will depart Heritage Memorial Chapel in East Wenatchee at 9:30 a.m., head north on Valley Mall Parkway to Sunset Hwy, North on Sunset Hwy, and then east on State Highway 2 to Leavenworth. Intersections along the route will be temporarily closed as the procession passes through. Motorists should plan ahead and expect delays if they are traveling in the area. If the public would like to show their respect to Sergeant Jasso and his family, the recommended viewing areas are Valley Mall Parkway in East Wenatchee and along Highway 2 from Riverbend Drive to the Chumstick Hwy in Leavenworth. The funeral procession is being managed by local law enforcement and fire agencies from Chelan and Douglas Counties.